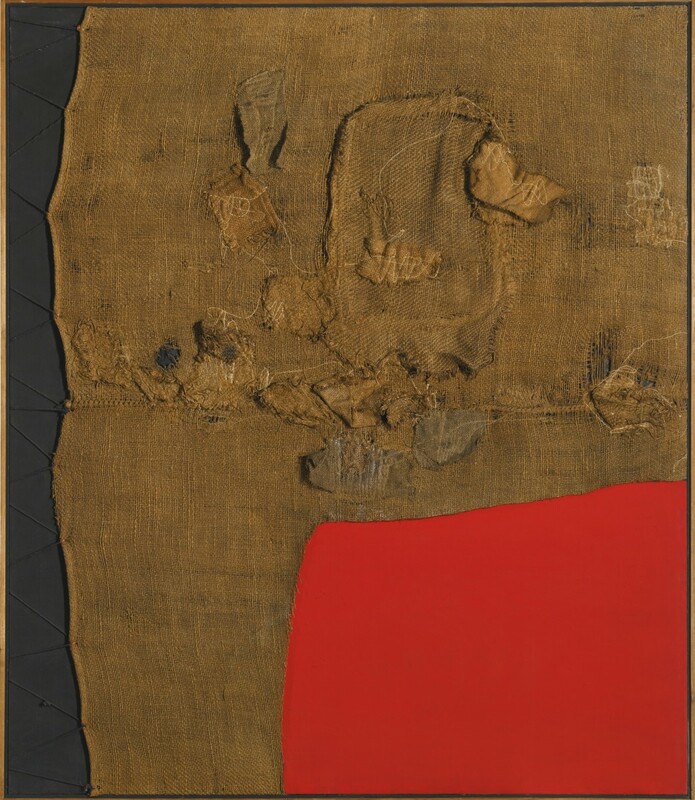 This month’s artist in focus, the Italian painter and sculptor Alberto Burri (1915-1995) is famed for his fabulous range of textured work in the collage tradition. Burri’s trademark was the imaginative use of raw materials to reflect the underlying themes of his work, contributing toward a catalogue of quite astounding breadth and variation over his long artistic lifetime. Originally trained as a medic, his early collage work is typified by a characteristic surgical precision trained on a general theme of the devastation of war, so apparent on his return to Rome from an internment camp in the USA in 1946. Organic images of gashes, wounds, and torn and putrefying flesh were common, stitched together to communicate his experiences of human suffering. Close attention was paid to texture and composition to lend his work a sensual, if brutal, quality. Later on, as the memory of war began to fade, his attention turned toward the industrial ravages and wastes increasingly evident as the effects of modern industrialization took hold. To achieve this shift away from the organic to the inorganic, a new primary material, metal, was introduced. When his attention shifted toward critique of the ‘packaged life’ and the supermarket generation in the 1970s, so too did he shift toward manipulated plastics as the foundation for his super-size, brightly coloured abstracts. The reclusive Burri was to enjoy his reputation as one of the pre-eminent figures of post-war Italian art during his lifetime. He himself eschewed all interpretation of his paintings (‘I see beauty and that is all’). It was art nothing more. 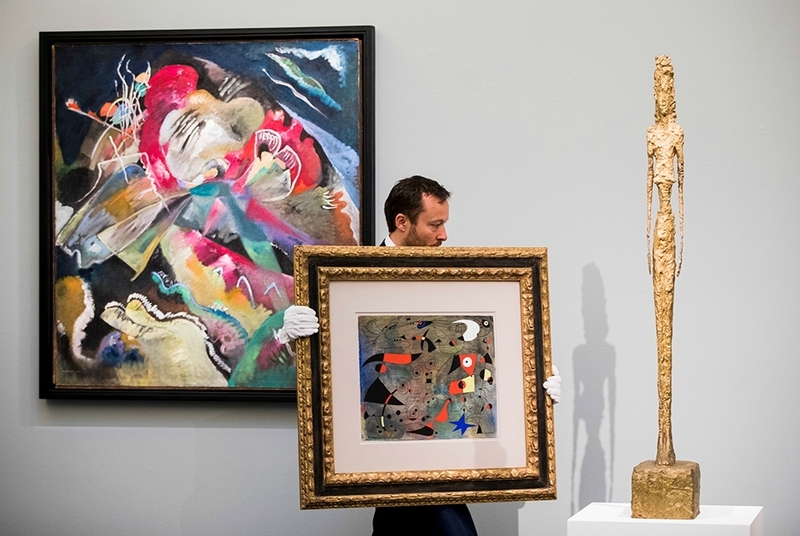 November 2015 saw a retrospective at the Guggenheim that we were lucky enough see before its closure in the New Year – a fitting tribute, to a major 20th century figure.